I'm an English teacher, living in France, and I'm soon moving back to the UK after a recent separation. 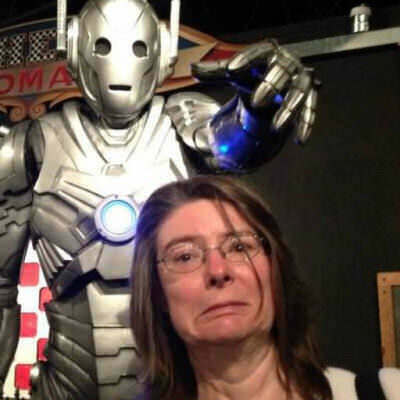 A Whovian / Trekkie for 40 years, I'm also into rock music and some metal - Queen, 5 Finger Death Punch that kind of thing, and comedy especially Monty Python. My dream is to be a writer, at the moment I just do DW/ ST fan fiction but I'm moving onto original work soon. I'm just looking for cuddles and kitchen slow dancing, curling up on the sofa and watching TNG while sharing a pizza, walks in the countryside to the pub, laughter and companionship. Someone kind, gentle who will make me laugh, understand when I need space and have my back.